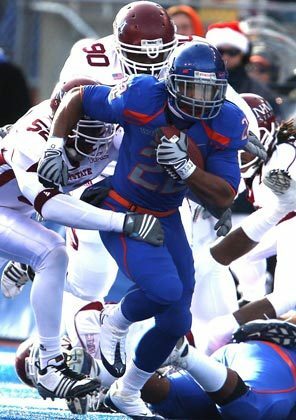 2011 Heisman Campaign: Doug Martin of Boise St.
One of the nation’s best running backs wasn’t even a guaranteed starter at his position just two years ago, let alone last year. 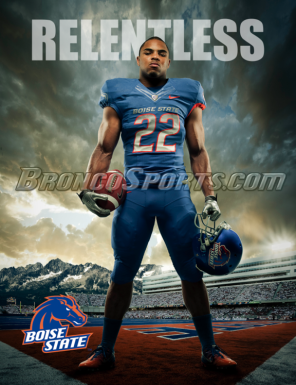 Would you believe he was a complimentary back and special team standout who switched to and from safety several times at Boise State?? At 5’9 201lbs, he runs with a Mark Ingram-like low center of gravity, yet unlike the past Heisman Trophy winner, Martin has an explosive burst. He began the 2010 season as a complimentary option to incumbent starter Jeremy Avery and just flat unseated him. 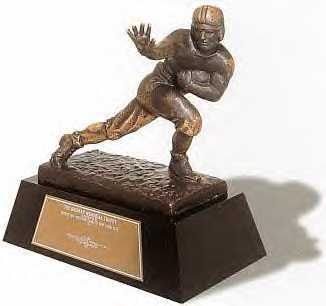 He wound up rushing for 1,260 yds on just 201 carries, had a whopping 6.2 yards per carry average and 12 TDs. Yikes! What would he have done if he had been the undisputed starter at the beginning of the season?? He exploded at the end of the season when he dazzled the nation with one of the best performances in college football against Nevada. Boise St was ranked #3 with a 10-0 record and traveled to play Nevada, who was on a 10 game winning streak, and were 10-1 with a #19 ranking. This was the last hurdle for the Broncos to push to play in that elusive National Championship Game. In a nationally televised game, the Broncos sprinted out to a 24-7 lead thanks to 2TDs by Martin. The last of which was a 51 yd sweep to the left that left Wolfpack defenders gasping for air as he sprinted into the endzone for what appeared to be a clinching touchdown. Yet the Wolfpack furiously fought to get back into the game tying the score at 24 with 5:10 left in the regulation. The Boise offense had been stifled for the better part of two quarters when they turned to their dynamic junior running back. In what should have been a last possession time consuming drive, Martin accidentally showcased his flare for the dramatic. On 1st and 10, he took a routine screen pass, set up blocks with a few electrifying moves and powered through an attempted tackle and exploded for a 79 yard touchdown. The play was stunning by itself yet when his team was playing pensive and they needed it most he came through. 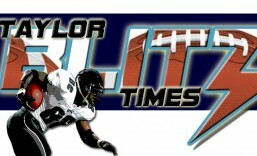 Alas the finish to the game robbed the Broncos of their shot at playing for it all falling 34-31 in overtime. However that Saturday night in front of an ESPN audience Martin amassed 152 yds on 24 carries for 2TDs while gaining 78 yards on 3 receptions and another touchdown. Two of his scoring plays were from 51 and 79 yards out. For the season he had 11 plays of over 25 yds or more and 3 that were over 50. After receiving a slight from the Bowl Committee and having to play December 22 in the Maaco Las Vegas Bowl, the Broncos again had a national television audience tune in. After both teams started off sluggish, Martin moved the crowd with an 84 yard touchdown run in which he outran the entire secondary the last 50 yards to the endzone. He had another breathtaking cutback run of 32 yards and finished the day with 17 carries for 147 yards and 1 touchdown in a 26-3 win. When the lights came on and it was time to perform, he played his absolute best. Just to name a few of the merits of those coming from smaller schools and their ability to compete with their BCS Conference School counterparts at the next level. Take a look at Reggie Bush for example….yet I digress. Ahem it’s at the collegiate level we’re talking about. As the video illustrates Martin can avoid the big hit with his quick feet yet when contact is imminent, he explodes into tacklers with the mentality of a defensive player. If you approach Boise St’s Stadium, you’ll see these huge banners of Kellen Moore and a few other players, yet its the one to the left of this column that will catch your eye. Keep your eye out for him this season and in next April’s draft. You haven’t heard the last of this talent and with an injury free season could be the best in the country and worthy of the Heisman Trophy. This entry was posted in College Football and tagged Boise St, Boise St Broncos, college football, college football players, college football previews, Doug Martin, Heisman Trophy, Mountain West. Bookmark the permalink. He certainly does deserve some hype since east coast writers go to sleep before he’s done running. He will have to put up some monster games to get on their radar, if that happens then you might get your wish. Two more things, he might be the best cut-back runner in college and he doesn’t fumble the ball. Despite his aggressive style he protects the rock pretty well. I’m with you on this campaign Jef.